What did we learn from the Monaco GP? Well, the first thing we learned was that a good dose of rain certainly brightens up a Grand Prix. Described as ‘the great leveler’ it certainly did that at Monaco. The slippery conditions do not take reputations into consideration, and those with true webbed feet came to the top. Or perhaps floated to the top! Prime amongst these were Adrian Sutil, the young German driver in the Force India. With a car that is a true back marker, he had climbed as high as 4th with only six minutes to go, never having put a wheel wrong. His reward was a hard rear-ender delivered by the current world champion, Kimi Raikkonen, who had been ‘all at sea’ all afternoon. The further irony was that having received yet another nose Raikkonen was able to continue, but Sutil’s car was too badly damaged. Tears were shed in the pits, but despite no points, Sutil has elevated himself as a driver, while the monosyllabic Finn has not, despite wearing the driver’s crown. The ‘other’ Ferrari driver Felipe Massa looked as if he was going to win by a country mile, but then dropped the ball again. It seems that the Brazilian cannot concentrate for two hours at a stretch, perhaps suffering from ADD (attention deficit disorder)? The second driver who impressed was Sebastian Vettel (Toro Rosso), who this year seemed to be a first rate first lap crasher. He came from 19th to 5th and again did not put a wheel wrong. Despite his dreadful start to the season, the talent is there, and he has shown this before in the wet race in China last year. Other drivers who mastered the conditions included the eventual (and worthy) winner Lewis Hamilton (McLaren Mercedes), the gutsy Pole Robert Kubica (2nd in the BMW), Mark Webber (4th in the Red Bull) and even Rubens Barichello in the Honda (6th) driving in his 900th Grand Prix (or perhaps it just seems like that)! Another driver who has most certainly passed his ‘use by’ date is David Coulthard. Red Bull should replace his race mechanics with crash repair specialists, Coulthard having crashed very successfully in Qualifying and the race. Another driver who wears his previous championships as if they give him divine rights is the sulky Spaniard Fernando Alonso (Renault). Unfortunately, divine rights do not stop you running into walls and other drivers, a lesson that he seems not to have learned. He should retire and polish his crown before he loses all credibility. Alonso’s Renault partner has already lost his credibility, Nelsinho Piquet crashing out on lap 47 after being told to raise his game by his team. I would not be surprised to see him replaced before the end of the season. If Heidfeld (BMW) has not realized by now that Kubica is the number 1 driver in the team, then he should just take a look at his own performance at Monaco. Woeful. Do not expect to see him at BMW in 2009, as there are other more talented Germans looking for a front-running team. Still on the Germans, young Rosberg in the Williams was very fast in between accidents. He has to learn to temper his talents to be a worthy front-line competitor. Team mate Nakajima finished in the points as those in front of him crashed their way to retirement. At least he didn’t hit anything/anyone for a change. Toyota? What an embarrassment for the Toyoda family (correct spelling). After spending gazillions to come in 12th and 13th, these are Hara-Kiri results! Give up now. The next race is in Canada on June 8. Last week I asked which manufacturer who built the “Rolls Royce of motorcycles” also built a superior car? Clue - a play on words. The correct answer was George Brough who built the Brough Superior car between 1935-39 when WWII stopped play. So to this week. What was the Glas S1004 of 1962 famous for? Renault-Nissan and Indian motorcycle maker Bajaj Auto Ltd. say they will be ready to market a $2,500 car that gets about 34 km/l (82 mpg) by 2011. The ultra-low-cost car, codenamed ULC, will be a direct competitor to the $2,500 Nano sedan from Tata Motors Ltd. that goes on sale in India later this year. Initial production is expected to be 400,000 units per year at a new plant being built in Chakan in western India. “The car will initially have a gasoline engine ... later, it will also have a diesel engine,” said S. Ravikumar, Bajaj Auto’s vice president in charge of business development. 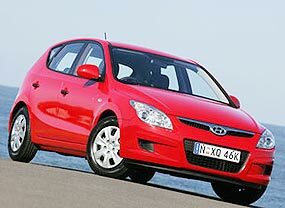 The car also will be sold in other emerging markets. Ravikumar said the car will be exported using the global sales network of Nissan and Renault. The companies announced their collaboration last October. The venture is 50 percent owned by Bajaj Auto, 25 percent by Renault and 25 percent by Nissan. 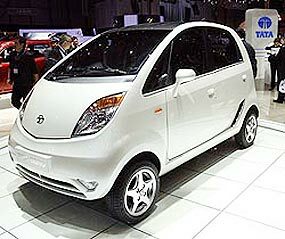 Analysts forecast 13 percent growth in India’s passenger car segment for the year to March 2009 and expect manufacturers to remain committed to the small-car segment despite rising raw material costs and the expectation of slower economic growth. General Motors, Honda and Toyota all have expressed similar interest in producing low-priced cars for the Indian market, where an emerging middle class is moving from motorcycles to cars. There should also be a market in Thailand, which will not be filled by the forthcoming eco-cars which will not be much cheaper than the current small car range available in this country. I stumbled across a report from Australia on the econo-cars available down under, and it will make you weep. Why? Because all but one are not available in Thailand, and the one that is, is so expensive that you would have to keep it running for about 20 years before you would recoup your money in saved fuel costs. Fiat 500 1.3 JTD Pop 4.2 L/100 km: This is the re-born Fiat 500 of donkey’s years ago, and is the vehicle to be seen in. There is no getting away from the fact that it looks ‘cute’ in that retro way. So this car has desirability and efficiency. In fact, official figures place this immensely appealing and quite practical re-born 500 as the most fuel efficient auto on the Australian market. The smallest of the Fiat Group’s turbo diesel, the 1.3 is a shade slow but winds up nicely to provide a good cruising, despite the engine size. Described as the DINK’s (double income, no kids) city car par excellence: if the 500 doesn’t raise a smile, then it’s you that’s wrong. Citroen C3 Hdi 4.4L/100km: While the French marque’s reputation for reliability gets nowhere near that of the Japanese, Citroen does chic (after all it is French) in a way that Toyota does not. That Prius-equalling consumption is achieved with 65 kW/215 Nm 1.6 liter turbo diesel that utterly erases the petrol C3s for efficiency and performance; however, that should not be so earth-chattering, as all diesels are more fuel efficient than similar capacity petrol engines. It typifies the “downsizing but up-speccing” paradigm that has seen sales of light and small cars overwhelm the larger cars in Australia. However, in ‘macho’ Australia the Citroen C3 is thought of as a ‘girl’s car’. Mind you, I have also described some of the Ferraris of 15 years ago as the ‘fastest girl’s cars on the planet’ - Porsches are for real men! 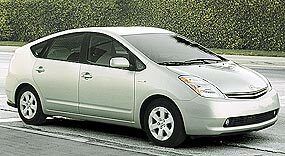 Toyota Prius II 4.4L/100km: The world’s most successful automotive marketing exercise probably to counter its weird styling I felt, but now the Prius is synonymous with lean and green motoring. The Australian report went on to say another paradox is that being as visually appealing as a chunk of cheddar has enhanced rather than damaged its appeal. It is distinctive and that is what counts. What’s the point of making an eco-statement if no one knows you’re making one? It is a bit like wetting yourself in a dark suit. You know what you’ve got, but nobody else does. The Prius comes into its own in commuter traffic, where the constant throttle needed to extract the best return from diesel can be hard to maintain. It is dull to drive in the typical Toyota fashion, but it is by no means awful with quite responsive and reasonably direct handling. Our motoring editor at large, John Weinthal, has driven one and actually enjoyed it, which must say something for the Toyota Prius 11. Too dear, though, even down under, while here the grey market has the Prius 11 at over two million baht. When you can buy a Jazz or a Vios for under one third of that price, who, other than dedicated environmentalists, will pay that sort of premium? Fiat Punto 1.3 JTD 4.5L/100km: Rather more practical than the 500, the larger Fiat achieves its frugal consumption via a robotised six-speed sequential manual; one that does without a clutch pedal and provides an automatic drive mode, minimizing the emission spikes that occur when gear changing in a conventional manual. If you can do without the rear seat headroom and don’t mind joining a queue, take the 500. 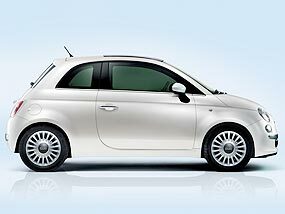 Fiat have invested too much in the 500 for it to flop. Audi A3 1.9 TDIe 4.5L/100km: This hugely efficient and incredibly clean (119g of CO2/km) turbo diesel is absolutely a Prius rival, both in terms of its consumption figures and being madly over-priced. An eco-conscience can come with a considerable cost but, in this instance, at least you get a decent badge for your dollars (never mind that it’s all Volkswagen Golf underneath, which we don’t get here either). On the basis of other Golf/A3 diesels, the 77 kW/250 Nm provided by this unit promises to make being green slightly easier to bear. Citroen C4 SX Hdi 4.5L/100km: Again you’ve got to go for the sequential/robotised transmission to realize this figure from the 1.6 liter 80 kW/240 Nm diesel - which is certainly no hardship these days. For a city car, and Thailand traffic, why would you ever want to stir the transmission yourself? After all, GM gave us the Hydramatic on Oldsmobiles in 1940, and that’s only 68 years ago. The passenger room is excellent, but it still has the Citroen stigma, but apparently could make for a very efficient, cheap to run (fuel-wise at least) family runabout. Honda Civic Hybrid 4.6L/100km: A 1.3-litre petrol-electric hybrid that’s much cheaper than the Prius, the Civic attracts infinitely less attention just by virtue of the fact it looks like any other Civic, rather than an advertisement for itself, like the quirky Prius (even the name is ‘prissy’). Hyundai i30 SX CRDi 4.7L/100km: This little jigger from Hyundai has been gaining Car of the Year awards, and is part of Hyundai’s resurgence. It has a responsive 85 kW/245 Nm 1.6 liter diesel, and the i30 is a spacious, European-designed hatch that dispels any lingering notions about Korean cars. If such doubts do linger, in Australia it comes with a five year, unlimited kilometer warranty. So there you are, some of the world’s best econo-cars, but don’t expect to see them in a showroom near you any time soon. If you are looking at economy from your wallet’s point of view, the way to go is diesel. Forget ethanol blends, which do not return the consumption figures of its gasoline base.